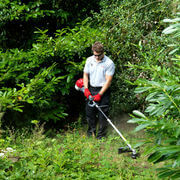 The Honda Kombi Tool edger is designed for very efficient cutting and clearing of your backyard. With a strong and robust nylon cutting head with a bump feed system, meaning making your backyard tidy was never easier. 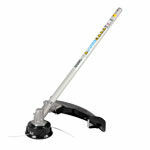 By easily using the 'one-click' connector of the kombi (versa tool) Power Head it will instantly become a very handy brush cutter. Coming with a 4 year warranty and 1 year commercial warranty.